Be a part of training and supporting people who work with trauma in citizens of former soviet countries who work to heal from wounds of oppression and with the fall-out of many years of war on the border between Azerbaijan and Armenia. The Institute for International Connections (501(C)(3), with a long history of such service dating back to the early 1990's, is establishing a training center in Tbilisi, Georgia. 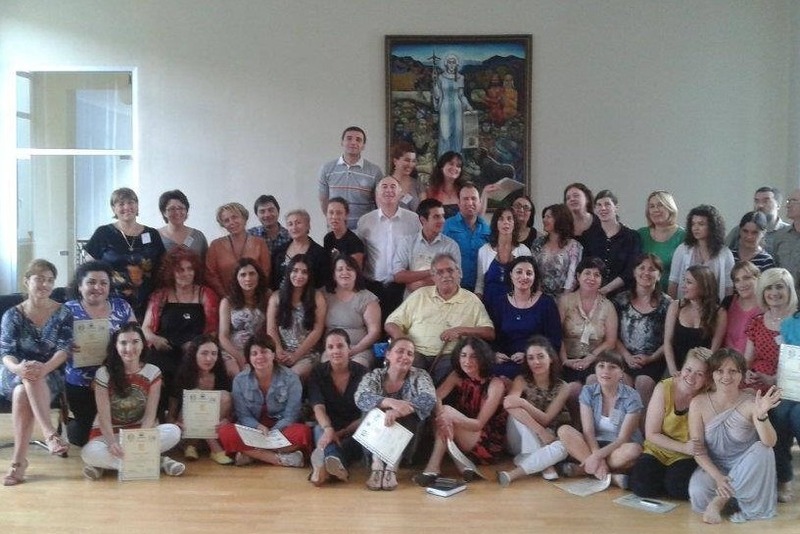 Pictured above is a group of persons from five countries who have gathered in Tbilisi to train with us. The current goal they want is the establishment of a training center in Tbilisi for ongoing training based on the work of Virginia Satir, mother of family therapy and early proponent of intervention for world peace. We have a goal of raising $105,000 to establish an ongoing training center in Tbilisi. Google IIConnect.org to read about us. If you prefer to donate by check, please make your check out to Institute for International Connections and add a note at the bottom "For Satir Training Center in Tbilisi Georgia".